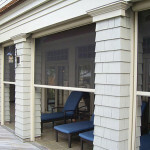 We are proud and excited to offer our clients the latest trend in outdoor living spaces: exterior shades! Outdoor shades offer sun protection, temperature control & protection from the elements – without compromising your outdoor living experience. 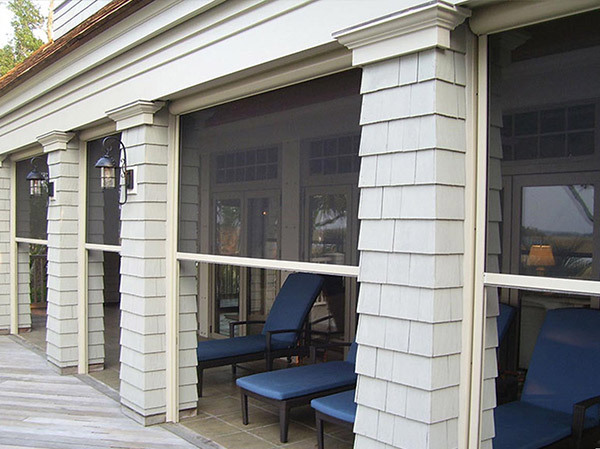 These sheer exterior shades are ideal for patios, pool areas, beach houses, dining areas – and anywhere you want to create an outdoor living space that has all of the comfort of an interior living space. We offer Corradi exterior shade systems – the premier provider of outdoor living space screens and shades. Corradi combines Italian design with American manufacturing to provide European elegance that is Made In the USA. 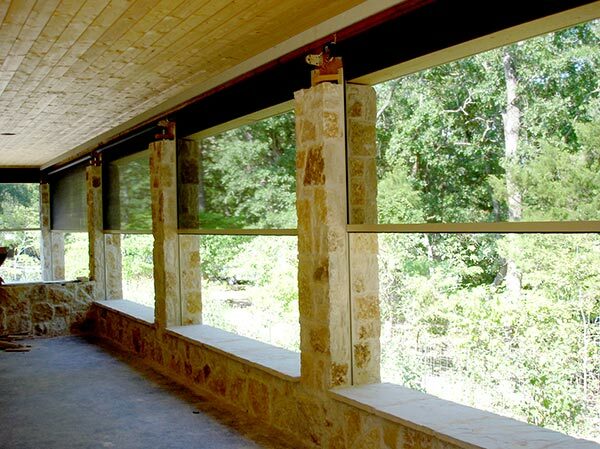 Based in Dallas, Texas Corradi outdoor shades bring vitality and functionality to outdoor spaces. 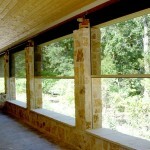 In fact, their company mission is to “Bring your Outdoor Living Dreams to Life! With Corradi exterior shades you can enjoy every area of your home’s living space 24/7 – 365 days a year. California’s hot sun is no match for Corradi outdoor shade’s UV protection and temperature regulating properties. And when winter nights cool down, Corradi exterior shades keep the cool winds away – so you can enjoy your patio, pool, beach house or outdoor dining area, even when the temperature drops. If you are a restaurant or hotel manager, Corradi exterior shades enable your guests to enjoy the exterior areas of your establishment 24/7 – 365 days a year. 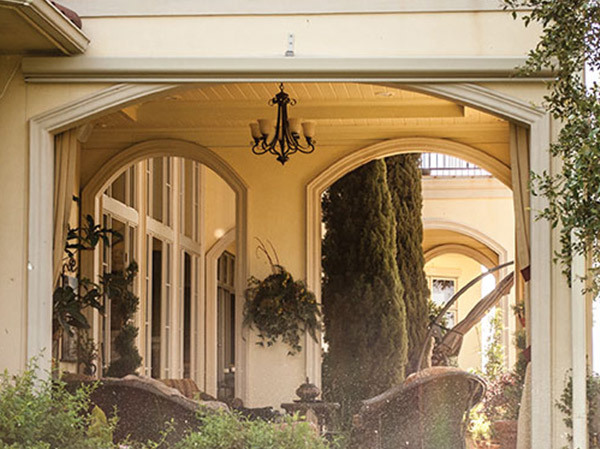 Corradi outdoor shades’ UV protection and temperature regulating properties keep guests comfortable on even the hottest of California days. And when winter nights arrive, Corradi exterior shades keep the cool winds away – so your guests can still enjoy patio dining or relaxing by the pool even when the temperature drops. The Corradi SL 111 “cassette screen” is our most popular exterior screen system that provides an assortment of practical and engaging enclosure options, and is available in a variety of track options that include cable guides, or no guides at all. They are available in manual, motorized, or automated operating systems to fulfill any screen control preference. The Corrardi SL 135 System is a large enclosure system and is primarily used for exterior applications requiring heavier fabrics or wider widths – offering even greater protection from the sun and the elements with its heavy-duty size and stability. The Corradi Aero System is ideal for installation in recessed pockets – using a heavy galvanized steel roll tube for the least amount of deflection, ease of maintenance and consistent quality performance. And it may be ceiling or wall mounted. Call us today to schedule your in-home appointment to see how Corradi Outdoor Exterior Screen Shades can turn your outdoor living dreams into a reality! Our talented designers exclusively service the following areas: Agoura Hills, Calabasas, Westlake Village, Hidden Hills, Thousand Oaks, Camarillo, Malibu, Ventura, Topanga, Chatsworth, West Hills, Pacific Palisades, Oak Park, Somis, Montecito, Carpinteria, Santa Barbara, Newbury Park, Moorpark, Simi Valley, Northridge and Port Hueneme.